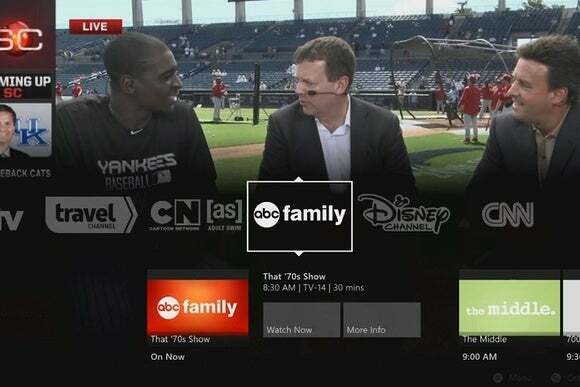 Those who wanted to see what Sling TV was all about during the NCAA’s Final Four weekend didn’t get the most flattering picture of the new streaming video service. Instead of seeing Wisconsin’s glorious upset of Kentucky without interruption, some viewers got choppy video and errors. In a Twitter post, Sling blamed the problems on “extreme sign-ups and streaming,” and said its engineers “rebalanced load across network partners” in an attempt to compensate. Sling TV, which costs $20 per month for 20 streaming TV channels, was the only legal way to watch every TNT or TBS March Madness game without a cable or satellite subscription. While the NCAA also put its games online, the TBS and TNT feeds had a time limit that required a pay TV login to remove. Sling TV CEO Kevin Lynch told Re/code that the problems only affected around 1,000 users. He also said the company is rolling out new software this week that should help with future spikes in demand. A big spike should be coming, Re/code notes, with Sling set to add HBO as a $15 per month option before this month’s Game of Thrones premiere. If there’s a silver lining for existing Sling TV users, it’s that fewer people sticking with the service could be better in the long run. As AdAge reported out last week, Sling’s deals with TV networks mandate that the total number of subscribers stay under 2 million, according to Discovery's CEO. Otherwise, the networks have the right to walk away from the service. A report last month claimed that Sling TV had notched 100,000 subscribers—a figure that remains unconfirmed by Sling itself—so it’s unlikely that the service will hit its cap anytime soon. And even if Sling passed the 2 million mark, networks could still decide they won’t want to give up the revenue stream. Still, it seems they do have an escape clause if they feel like Sling is becoming too much of a threat to lucrative cable bundles. Why this matters: Alternatives to cable have been popping up everywhere lately. Beyond Sling TV, Sony just launched its own streaming service called Playstation Vue. Apple is also rumored to be working on its own channel bundle, and will carry HBO Now as a standalone service this month. TV networks are caught between wanting to reach people who’ve already abandoned cable, and not wanting those expensive bundles to collapse too quickly. But with high-profile failures to stream like the one Sling experienced, the networks are likely breathing just a little easier.